this phone is really really old and any1 that is still using one needs an upgrade. I am posting this comment on my nokia n81 8gb using the wifi feature. I suggest getting 1 of the n series nokias they r gr8. This is one such model which really made a mark for itself unlike other models which just comes and then they are off the charts. For a normal user who needs just to attend to calls and in a while send and SMS, this it right along with the other basic features. So wat could be better than this?? 3310 is the best and none can compare!! I bet on that !! the only durable and original phone here in the philippines. everything else is a clone or has a LOT of fake parts that dont work properly. so cheers to the 3310!!! it's one of the and popular phones in my country Malaysia. the functions are excellent and easy to operate.isnt it msians? Nokia 3310...the very 1st cell phone i ever had...was and is my darling phone. now i have the phone with latest features but still i miss my 3310 very much. i wish nokia launchs it once again. My first ever phone, very nostalgic this - easily my longest lasting phone, still have the worn covers, still want to get a new inside and use it for old times sake. Got me my email and calls and text- never really wanted anything else that other phones have given me since this one. I like the fact it has got no antenna!!!! got one for a back up phone for only php600!! dirt cheap!! i got it bec its STRONG and basic. 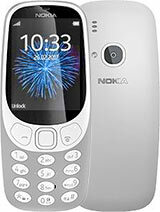 Total of 2475 user reviews and opinions for Nokia 3310.